I am writing a thesis and I have to use the \subfigure environ and not \caption. The problem is I do not want that the captions of the individual subfigures appear on list of figures (LoF) and only the caption of the main figure should appear? In the following mwe, still (a) and (b) are showing in the LoF. Any help please. 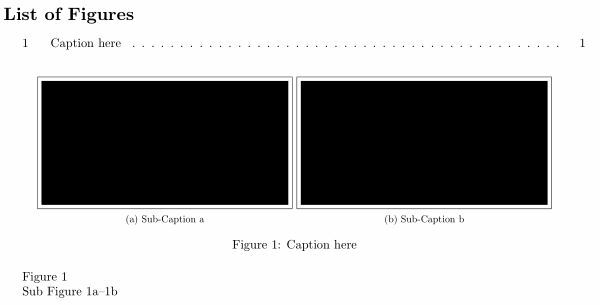 How to have captions above each “pseudo-subfigure”?